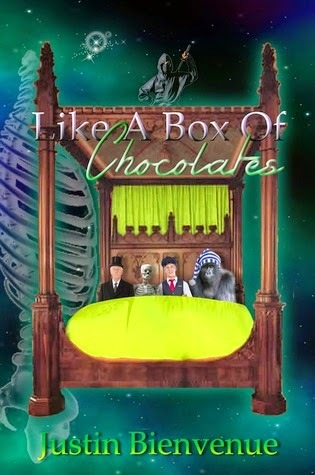 Now scheduling a Review Tour for Justin Bienvenue's Poetry Book, Like A Box of Chocolates. If you're interested, please email me with your available dates March 9 - 20. Take every notion, feeling, experience and expectation that you have on poetry and throw it up in the air, just take everything you’ve ever known about it and toss it aside. Not because the boundaries of what makes it so are being broken, and not because simple fundamentals and poetic structures are being altered, no that’s not it at all. Simply take a deep breath, relax and remember that nothing is off limits, nothing is too right or too wrong or completely outside the box(pun totally intended). So untie that bow, put your hand on the corner and open…open the book and take in that fresh page aroma and all the splendid “flavors” that is poetry.